Only showing entries about armenia from Roaming the world. 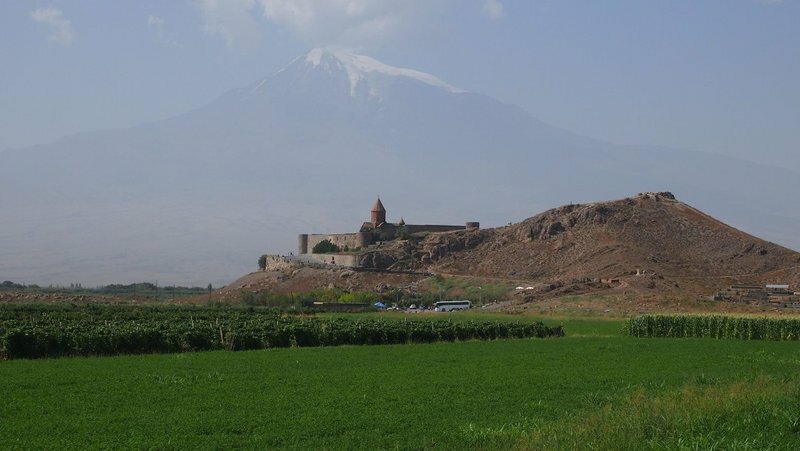 View entries about armenia from all Travellerspoint blogs. 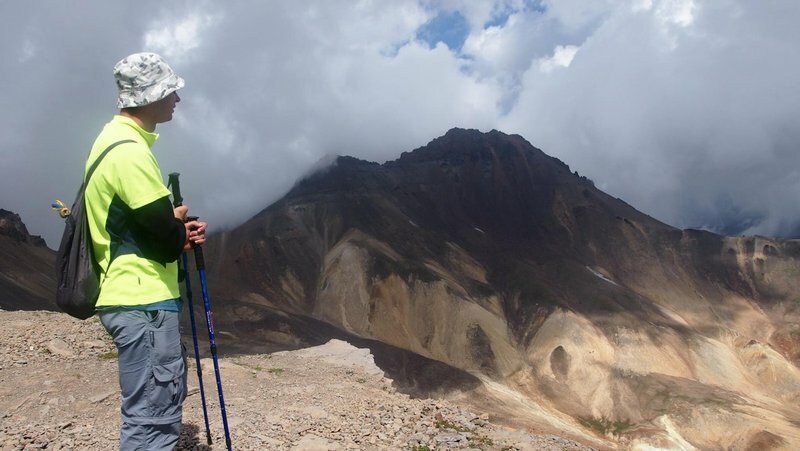 On this day we have decided to climb, not more not less, Armenia's highest mountain - Aragats is a single peak and dormant volcano towering at 4090 meters above sea level. 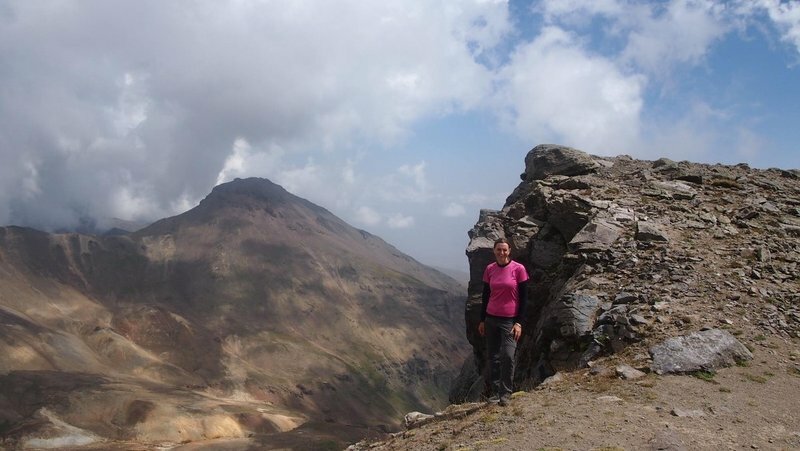 There is a long and a short way of climbing Aragats. The long way involves a 3000m ascent from the town of Aparan and makes it for a very long day. The shorter way is starting from town of Artashat which is easily reachable by public bus from Yerevan in about an hour. The second step is to get a ride up to Cosmic Ray research station at about 3200 meters. We found a local taxi driver who agreed to take us there and wait for about $35 in his old Lada. It's about 40km up windy and beat up roads, so all in all is a good deal. After about an hour and a half we were at the research station and agreed to be back at our taxi in about 5-6 hours. We started to walk cheerfully up a slightly steep hill, just to stop in 2 minutes grasping for breath. 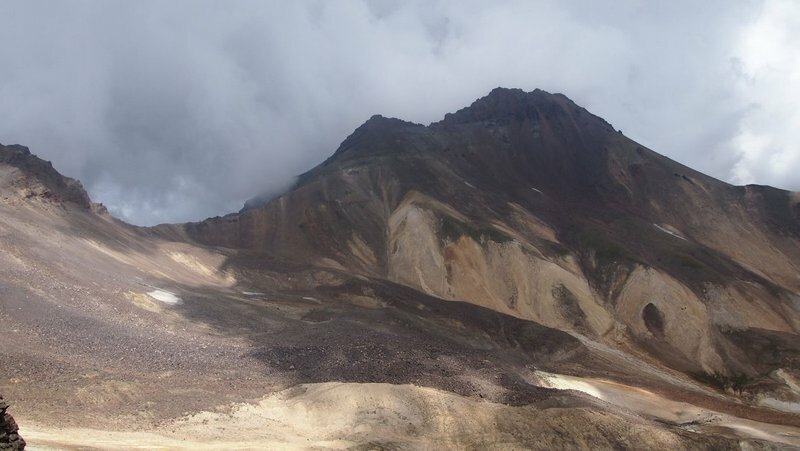 At that point we realized that we flew up 3200m in a taxi, which put us straight into altitude sickness zone. This was the first time I really felt it, you don't feel tired or exhausted, you just feel suddenly weak. After about an hour, you pass by a small pool of ice. That gets you thinking, we were doing it in September so it mush have survived the entire summer. The temperature on the top must drop way below zero at night. There are a few trails, but it's kind of obvious where to go. After about 2,5 hours of slow determined walking we have reached the top. The scenery looked like surface of Mars or something from a post apocalyptic film. After a mandatory photo-shoot we picked an alternative trail to come down along the ridge. We followed the trail half way, than it kind of disappeared and we simply followed the ridge. 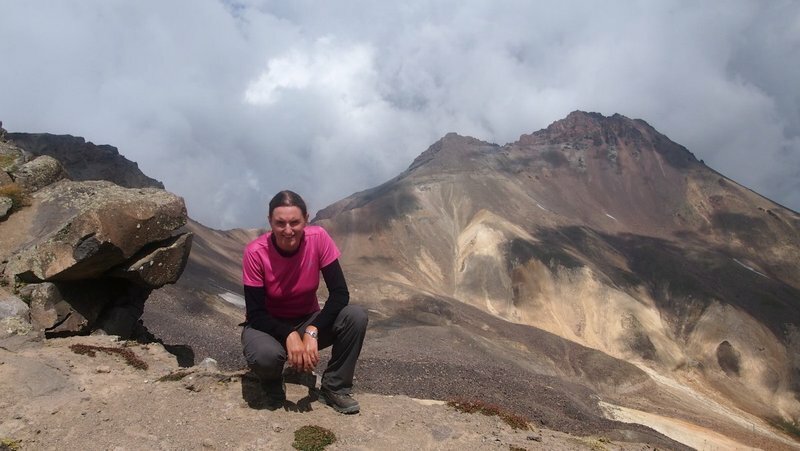 I guess we have missed the point where we had to decent of the ridge, so we had to climb down the rocks, and than walked for couple of hundred meters until we reached a trail taking us back to our taxi. By 7 pm we were back at Yerevan for a warm shower and a cold beer! When we visited Armenia we decided to stay in Yerevan and take day trips out. Luckily Yerevan's central location and the county's small size makes it easy. Armenia is the first country to adopt Christianity, and Armenians won't miss a chance to tell you about that. 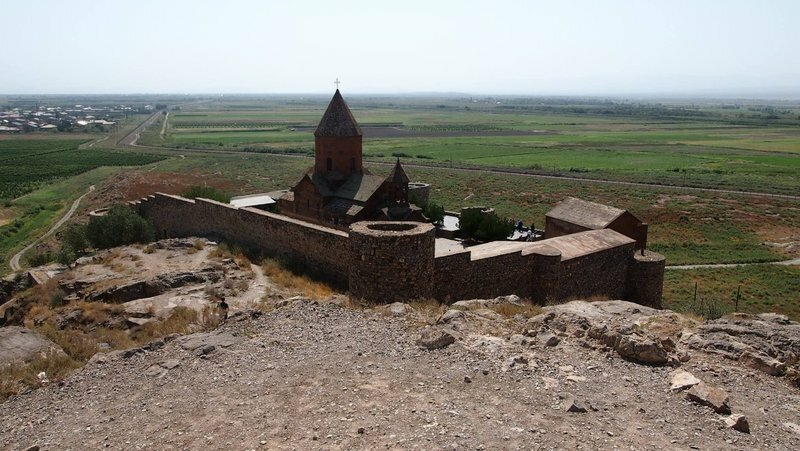 On this day we have decided to take a day trip to Khor Virap - an ancient monastery located just 800 meters from a border with Turkey. The easiest way to get there is to take a bus from Yerevan's central bus station towards the town of Ararat (not to be confused with the mountain) and ask to drop you at Pokr Vedi. From there it's a 4 km hike to Khor Virap. It's a beautiful walk towards the monastery especially on a clear day as you can see mighty mount Ararat on the background. To climb Ararat is a bit complicated as the Turkish-Armenian border is closed, so you will need to detour via Georgia and than get a climbing permit from Turkish authorities. It takes about an hour to visit the monastery, but the area around it is the real attraction. Make sure to go down to the cave underneath the church. It gets a bit claustrophobic, and gives you a bit of a funny feeling as if there is something out there. Important bit, we thought there was a bus from Khor Virap to Yerevan a couple of times a day, well it's not there. The bus stop is only for tour buses, so just walk back to the main road and catch a public bus. We spent about an hour playing cards with friendly locals before we realised that a bus won't come. We met a young Polish couple who hitchhiked all the way from Poland. Apparently Turkey and Armenia are very easy to get a ride, and most people will be happy to speak to foreigners.